Accepted in USA and Internationally. Certify in Under 1 Hour. The moment of exam completion you will receive an instant provider card in your student account and another sent to your personal email. You will then receive a hard copy version of your provider card by mail. Our Courses adhere to the most current AHA guidelines and are updated regularly. No live skills test is required for course completion. Testimonials Saying We Save Jobs! Our courses are accepted Nationally and Internationally. 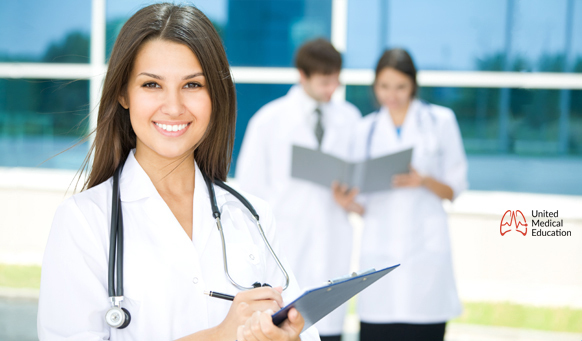 We are proud to say our fast online courses have helped save many providers their jobs. You can earn your Pediatric Advanced Life Support (PALS) certification or renewal online in under 60 minutes. There are no hidden fees with our courses. 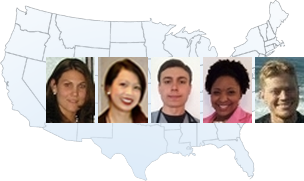 Here at United Medical Education our team of AHA certified instructors have created an official online PALS certification course that adheres to the most recent published standards and guidelines of the American Heart Association (AHA). We have designed our online PALS certification course to be as fast and easy as possible. Now you can certify in less than 60 minutes in the comfort of your own home. We have developed a proprietary training, testing, and certificate delivery system that is completely automated. 24 hours a day, 7 days a week, you will be able to access every aspect of your training. You will receive an instant digital copy of your provider card and continuing education certificate upon successful course completion. There is no additional charge for an instant digital provider card. The digital card is in the exact likeness of the hard copy card that will be sent by mail. The digital card serves the same function as the hard copy card and can be used to provide proof of certification quickly to your employer or school. Our PALS online certification course has been accredited by the Postgraduate Institute for Medicine and has been certified for AMA PRA Category 1 Credit™. It has also been certified for ANCC credit hours. Dentists will like to know that the class has been created in accordance with the standards of the ADA Continuing Education Recognition Program (ADA CERP). It is our policy to be honest with our students. There are no surprise fees after you purchase your PALS certification online. Once you register you will have the complete training materials and account functionality needed to obtain your provider card the same day. You will also receive proof of certification the moment you complete your course. Registration to the class includes free standard shipping of your provider card here in the USA. If you are in a hurry or if you live in another country, express and international shipping options are also available. This is just another example of how we take the initiative to meet the needs of all our students. Our official training materials for ACLS, PALS, and BLS certification have been written by AHA certified instructors, adhering to the most current guidelines and standards of the AHA. The training materials will provide you all the information you need in an easy to follow format. Also, you will continue to have access to the training materials even after you complete your exam. There is no skills check required to receive your provider card. This is because the skills needed in Pediatric Advanced Life Support and also taught in Basic Life Support (BLS) certification are best learned through clinical experience and cannot be obtained through a short skills assessment. Now you can earn your provider card online without having to waste hours in an unfamiliar classroom. There is no reason to worry if you don’t successfully pass the exam in your first several attempts. Our class comes with unlimited exam retakes. There is no penalty or additional cost for retaking the exam. There is also no record kept of failed exams. You will gain access to the exam immediately upon registration, without having to run through timed modules, meaning you can complete the class faster than anywhere else. We want our customers feeling at ease when making a purchase BLS, PALS, and ACLS certification online here at United Medical Education. Our 100% money back guarantee is for all our students that want to take advantage or our risk free trial period. You can obtain a full refund if you are unsatisfied with our courses for any reason. We pride ourselves in offering the best refund policy in the industry. Are there additional fees for your training manuals? No. There are no additional fees with our courses. They include everything. 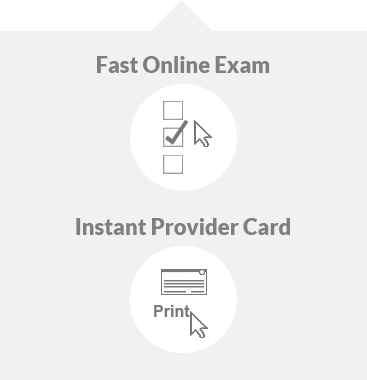 How quickly do I get my digital provider card after I take the exam? Instantly! The test is graded automatically and then the digital provider card is sent to your personal email and user account. "As a new nurse, I was looking for a quick online ACLS course before I start my new job the next month, and this website was the perfect place to do that. 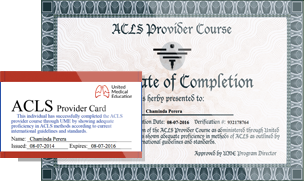 With the downloadable learning materials and practice tests, I was able to obtain my ACLS provider card within an hour. Plus, the learning materials were concise, thorough, and easy to navigate through. I will definitely use this site again for my PALS and BLS next year when they expire!"